Clearwater Beach, Florida has been named the Best Family Beach for 2018! The criteria for the award involved: lifeguards, convenient restrooms, nearby activities, family-friendly lodging, and clean, calm waters! 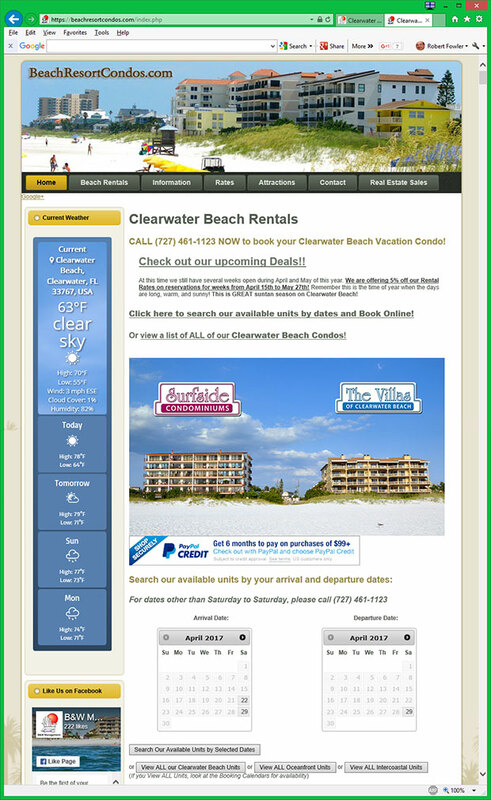 Clearwater Beach Vacation Rentals is full of family-friendly lodging options; including condominiums with multiple bedrooms and bathrooms, full kitchens, beautiful beach views and fun swimming pools! Surfside Condominiums and The Villas of Clearwater Beach are perfectly located for the Clearwater Beach family activities that fill Clearwater Beach, Florida. The beach itself is my favorite Clearwater Beach family activity! The large beach, filled with beautiful soft white sand makes a perfect place to lounge in the warm sun, toss a ball around, safely play soccer, build sandcastles or just go for a walk in search of beautiful seashells. The warm water and peaceful waves of the Gulf of Mexico provide a great place for kids to play in the ocean. You can even rent paddleboards, kayaks, beach bikes, comfy beach chairs, fishing gear, snorkels, skim boards, boogie boards and more at Clearwater Beach PaddleBoard and Rental Co. Clearwater Beach PaddleBoard and Rental Co. even provides free delivery and lessons! Wanting to spend some more time on the water? Head down to the marina! The Clearwater Beach Marina is full of family activities. You can take a ride on the Sea Screamer, the world’s largest speedboat, rent jet ski’s, search for dolphins on the Little Toot Tug Boat for guaranteed dolphin sightings, embark on a journey filled with pirates on Captain Memo’s Pirate Ship or take in a relaxing sail on the Schooner Clearwater, a 52′ custom built sailboat! If you’re searching for something to do on a cloudy or raining day, head over to Surf Style on South Beach. Inside the large store, you’ll have the chance to catch a wave on their indoor surfing area! If you’re not looking for the chance to go surfing, visit Winter the Dolphin – the inspiration behind the movie, Dolphin Tale! Pier 60 is a great family-friendly area no matter what time of day it is, but if you go during the daily Clearwater Beach Sunset Festival you’ll find artisans, crafters, and street performers throughout the playground, beach walk and on the pier. Pier 60 is a great place to not only watch the beautiful Clearwater Beach sunsets but to celebrate each and every one! After sunset, you can even watch a free movie under the stars at Sunset Cinema. You can find out what movies are playing on different nights on the Sunset Cinema website. If there isn’t a movie showing at the Sunset Cinema and you are searching for other Clearwater Beach family activities for the evening, check out Captain Bligh’s Landing! Captain Bligh’s Landing features 18 holes of mini-golf that go in and out of caves, past waterfalls and even through a wooden pirate ship! After a round of mini-golf, you can playarcade games in the Captain Bligh’s game room. What’s your favorite Clearwater Beach family activity?